It’s that time of year where we put the scare and the boo in our planners. 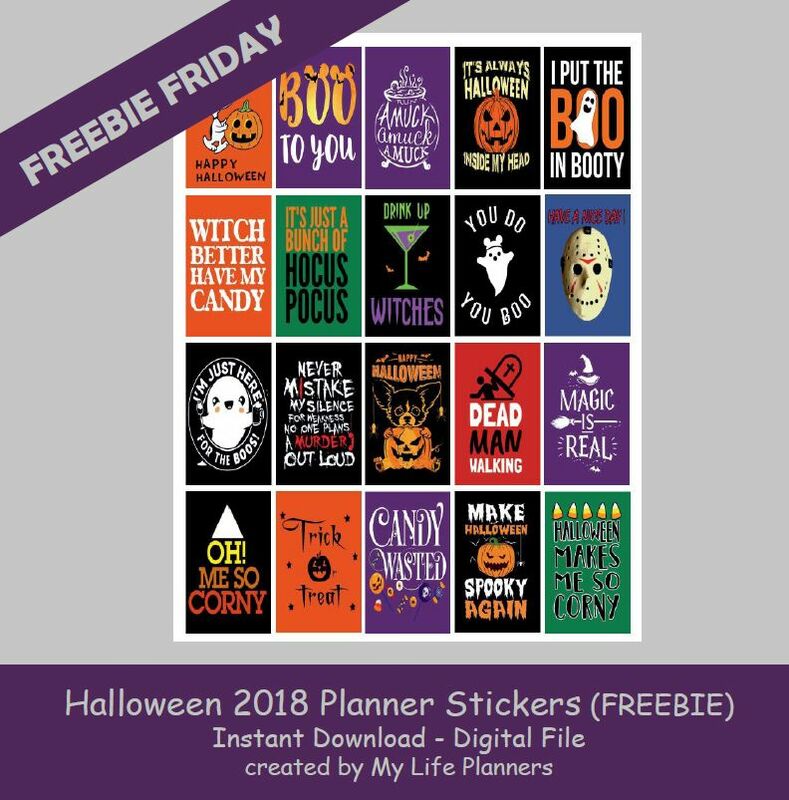 This week’s feature for Freebie Friday is Halloween. Halloween has always been one of my favorite holidays. Long ago, I used to throw an annual Halloween Bash for adults, neighbors, co-workers and friends. The parties started out small and grew to where one year I had over 200 people come through my home. Needless to say, that was the last year it was at my home and we started renting out a hall to have the party. As my kids got older the adult party no longer existed and it became a kid party back at my home. My house would be so decorated that I actually had more Halloween decorations than Christmas decorations. Enjoy these stickers and get your planners ready. In case you miss the previous Halloween Quotes, 2016 can be found here and 2017 can be found here.